Happy New Year Lovelies! There are lots of exciting wedding elements I am seeing emerging as fan favs this year. I’ve rounded up my top 2019 wedding trends predictions. 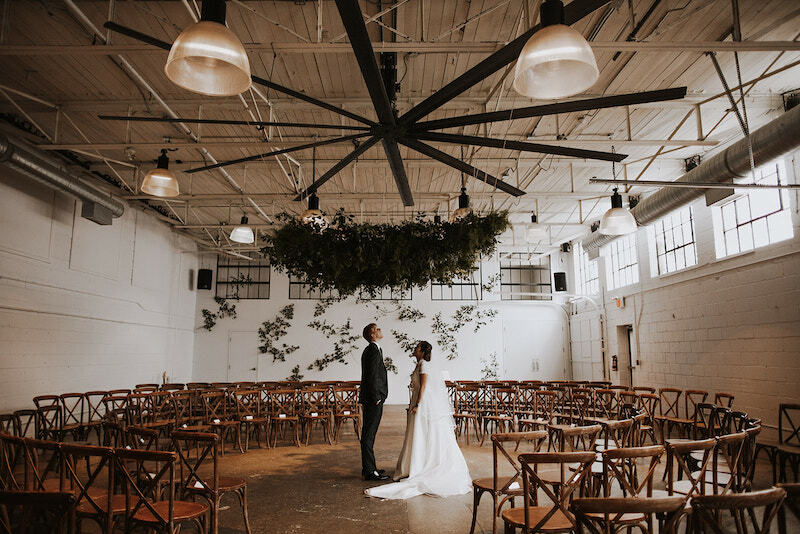 Hanging installs began to rise in popularity a few years ago, but so many couples are requesting elevated decor elements this years and in a big way. While hanging arches were all the rages last year, I’m see requests for large scale greenery and floral installs. And let me tell you, I’m not complaining, I am totally in love with this big impact decor trend. Bands have always been popular at weddings, but I’m noticing a rise in popularity with live music versus previous years. Couples are really focusing on the party element of their weddings and opting to pump up the dancing with live tunes. 5 years ago barns and rustic requests were all the rage when it came to weddings. I have to say I’m happy to have seen a shift away from this vibe in the past few year, and in 2019, it’s all about natural, maker style elements like ceramics. I bet on seeing a lovely inclusion of items like ceramic plates, vases, candles holders this year! I’ve definitely been getting a high request for vellum paper, in the land of wedding stationery. I love the use of vellum paper as it feels ethereal, soft and handmade. The transparent paper is a unique twist to traditional paper elements used for wedding stationery. The days of lace and burlap overload is long gone. Instead, couples are opting for a focus on natural and modern elements. Decor decisions are intentional and thoughtful. Minimalist doesn’t mean sparse or boring, but more so a focus on decor decisions that have been chosen for a reason. Tables aren’t jammed edge to edge with stuff or overbearing centrepieces but rather floral and decor details have room to breathe and work their charm.